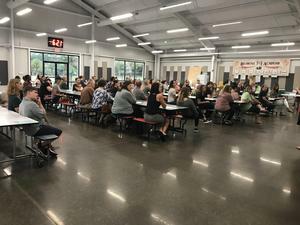 Cafeteria doors opened to families of secondary students, Thursday night for open house, and parents had a chance to talk with teachers and hear presentations from Belmont staff and administration. 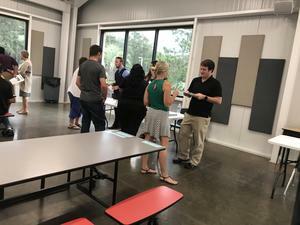 The event opened with a parent greeting from Mr. Barker, our school's principle, followed by discussions from Mrs. Munden, the school's guidance counselor. After the opening speeches, Mr. Barker introduced secondary faculty and parents got a chance to meet with their children's teachers at tables conveniently located around the perimeter of the cafeteria. 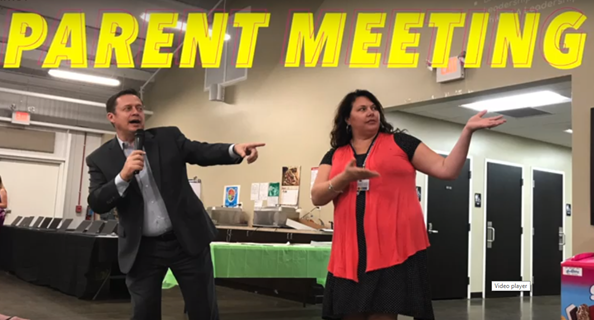 There were many highlights from the night’s meeting. Mrs. Lashley, who teaches leadership and 6th grade ELA, explained that with the help of students, parents and teachers, new after-school activities and opportunities become available each year. She also talked about a club known as Future Business Leaders of America (FBLA) and how it helps kids get into business at an early age. 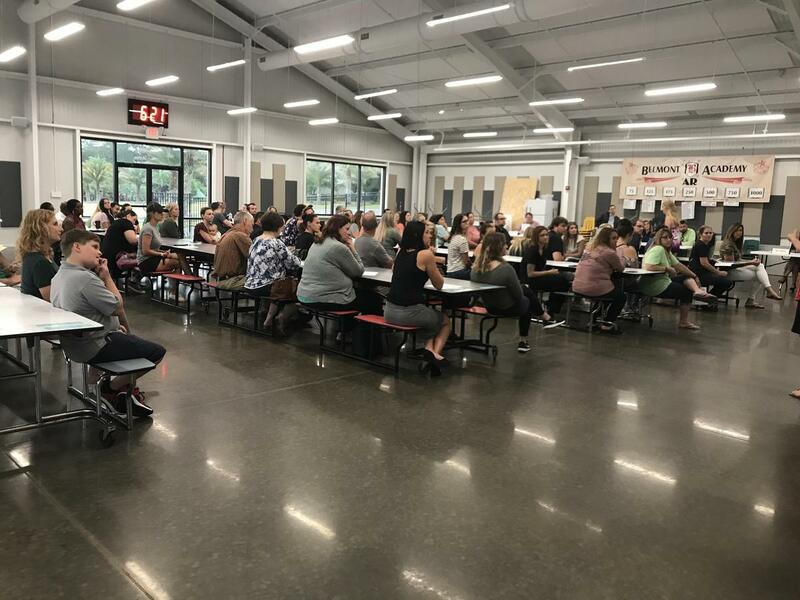 Mrs. Munden told the parents about AP programs, Bright Future Scholarships, ACT and SAT testing and ways to help their children prepare for college and continue their education. She explained that she also helps students get into the right classes and stay on track with their GPA. The book fair was also taking place Thursday after school, attracting kids of all ages. This year's theme was the ”Enchanted Forest.” The fair will be here until Tuesday, August 21 and opens daily at 2:45, after school. Students can come and buy books from their favorite authors. When interviewed earlier in the day, Mrs. Lashley invited students to the book fair. There was a Parent Teacher Organization (PTO) meeting on Tuesday after school, which informed parents of events, fundraisers and meetings for the 2018-19 school year. Prior to the meeting, Mr. Rob Summerall, PTO President, spoke to Belmont's journalism staff about the organization. While explaining the role of the organization, Summerall said, “The PTO gives you an opportunity to get volunteer hours, give back to the school, and raise money for the many programs we need to support the mission of Belmont Academy and its teachers, administration, and the great students of Belmont. Other weekly events included VPK classes starting on Monday, picture day on Friday and cross-country practices throughout the week. Savannah Metelus is a journalism student at Belmont Academy Charter School.